Probody platform is a novel and powerful approach to delivering anticancer drugs to specific tumor environment (that enhances efficacy while reducing toxicity). Many cancer targets like CD71 (are susceptible to antibodies) but are also expressed in healthy tissues; hence, the conventional antibody drugs can be toxic to both cancer and healthy tissues. Probody leverages on the tumor environment to activate the conjugate antibody to be released exactly at the disease sites. Application of Probody is vast (as there are many cancer markers showing in both healthy and cancerous cells). Major pharmaceuticals already signed the development and commercialization partnership with CytomX to utilize Probody for various therapeutic development franchises. In the past 52-week, the shares of CytomX Therapeutics (NASDAQ:CTMX) - a firm focusing on the development and commercialization of novel cancer immunotherapeutics - traded $13.73 higher at $25.73 (for +114% profits). Similar to the stellar bioscience run-up such as Atara Biotherapeutics (NASDAQ:ATRA) that appreciated over 166% for subscribers of Integrated BioSci Investing (“IBI”), CytomX is brewing highly promising growth catalysts. In this report, we’ll elucidate the underlying science as well as fundamentals of the aforesaid firm. Prior to discussing the novel therapeutic platform (Probody), we wish to go over notable principles of cancer treatments. While there are various management modalities, a particularly prudent approach is to employ antibody treatment. Certain cancers express key molecular targets, in which the antibody specifically binds to (and either to neutralize the target alone or to deliver a toxic payload for its destruction). An example is a drug (trastuzumab), which is utilized for the treatment of HER2 receptor positive breast cancer. Another strategy that delivers even better efficacy and safety is the use of combinations therapy. In the traditional sense, a combination therapy entails the use of two or more drugs to neutralize different cancer targets. A unique and highly effective bent on combinations treatments is when a sole molecule - like cabozantinib of Exelixis (NASDAQ:EXEL) or poziotinib of Spectrum Pharmaceuticals (NASDAQ:SPPI) - can, in and of itself, simultaneously inhibit various marks. Of note, cabozantinib is already FDA-approved to treat three different cancers. And due to its stellar profiles, Exelixis is investigating its potential treatment in 20 different oncologic indications. As mentioned, antibodies are overall safe and efficacious for treating cancers. Nonetheless, there are many cellular markers found on both diseased as well as healthy tissues (i.e. CD71). If we develop an antibody to those targets, it is most probable that healthy tissues are concurrently being affected, thereby rendering its therapeutic usability. This market is where Probody can tap into for the delivery of stellar treatment outcomes. Per figure 2, Probody uses an antibody and attaches it to a substrate linker (connected to a masking protein). The antibody itself can piggyback a payload designed to decimate the tumors. The ingenious aspect of this design is that the antibody itself is not activated in the normal physiology environment (hence, no destruction of normal tissues, thus limiting adverse effects such as hair loss, nausea, and vomiting). As Probody encounters the cancerous tissues, the diseased environment is usually acid: this induces the local proteases to cut the substrate linker; thereby, remove the masking protein from the antibody to deliver its therapeutic payload. Of note, this is the preview of the Integrated BioSci Alpha Intelligence research, published in advance to subscribers of Integrated BioSci Investing (a community of expert physicians, scientists, executives, market leaders, and everyday investors). In the aforesaid article, we took the deep-dive into the data analysis (and elucidate the potential upsides) that you can expect from this firm. If you're an investor (or thinking about investing in CytomX), it's a good idea to check out the pending catalysts of this firm. Author’s Notes: We’re honored that you took the time out of your busy day to read our market intelligence. Founded by Dr. Hung Tran, MD, MS, CNPR, (in collaborations with Dr. Tran BioSci analyst, Ngoc Vu, and other PhDs), Integrated BioSci Investing (“IBI”) marketplace research is delivering stellar returns since inceptions. To name a few, Nektar Therapeutics (NASDAQ:NKTR) procured more than 310% profits; Spectrum Pharmaceuticals (NASDAQ:SPPI) delivered over 190% gains; Kite Pharma netted 82%. Atara Biotherapeutics (NASDAQ:ATRA) earned greater than 166% capital appreciation. Our secret sauce is extreme due diligence coupled with expert data analysis. The service features a once-weekly exclusive in-depth Integrated BioSci Alpha-Intelligence article (in the form of research, reports, or interviews), daily individual stocks consulting, and model portfolios. Notably, we’ll increase our price soon. SUBSCRIBE to our marketplace research now to lock in the legacy price and save money in the future.To receive real-time alerts on our articles as well as blogs, be sure to check out our profile page and CLICK the orange FOLLOW button . Asides the exclusivities, this article is the truncated version of the research we published in advance to IBI subscribers. 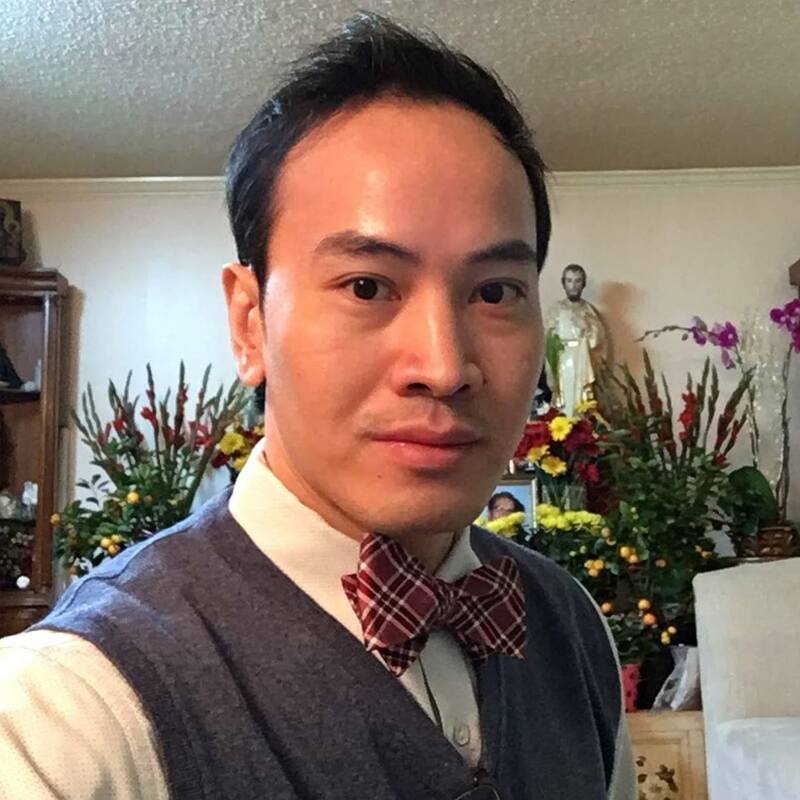 Further, you can read up on Dr. Tran’s background by following this link.